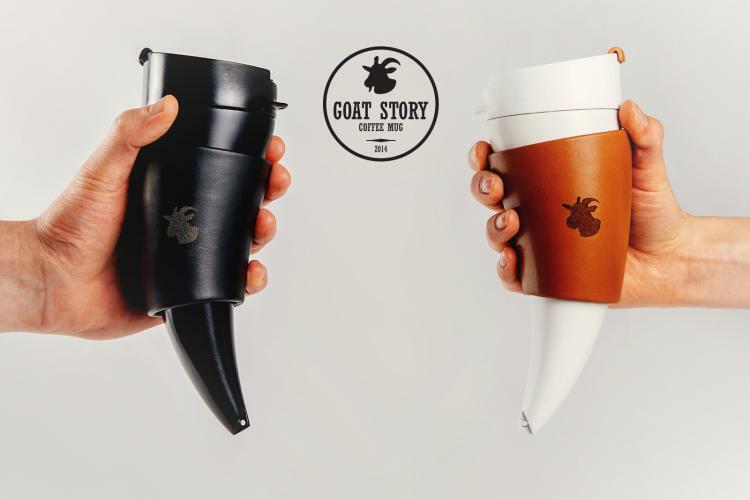 Quite similar to the Horn Shaped Drinking Cup we posted a while back, the Goat Story Mug is a coffee mug that's shaped just like a horn and was inspired by the first coffee discovery by goats back in the 13th century. 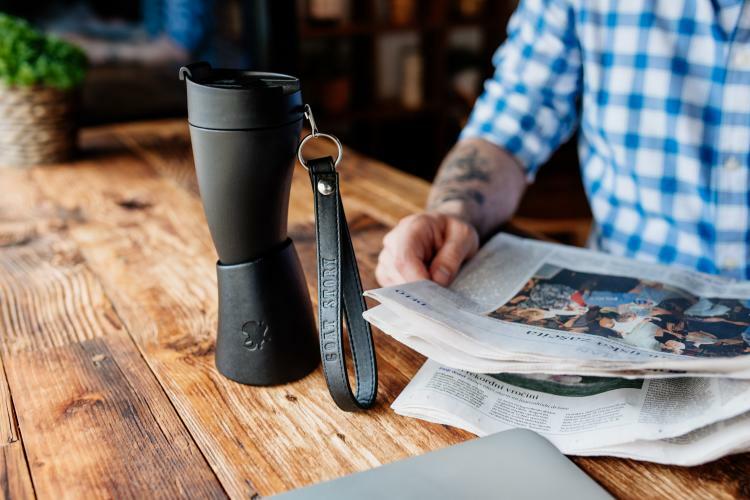 A true dedication to the goats that first discovered the sweet nectar of the gods, the goat story mug comes with a set of 2 straps that allow you to easily carry and transport your mug anywhere you go while leaving your arms open to read the paper or send a few emails off, plus the horn shape of the mug allows you to drink your coffee down to the last sip. 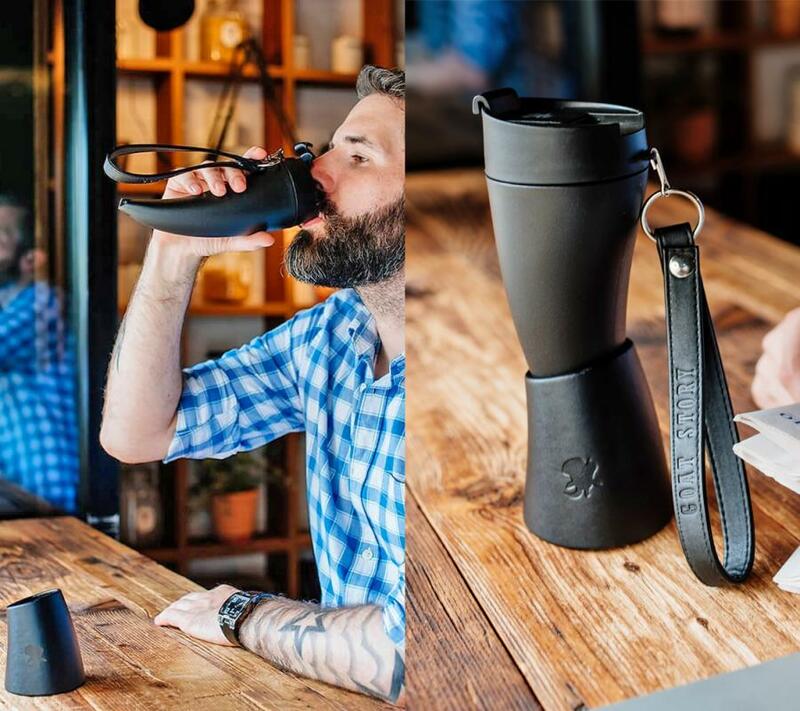 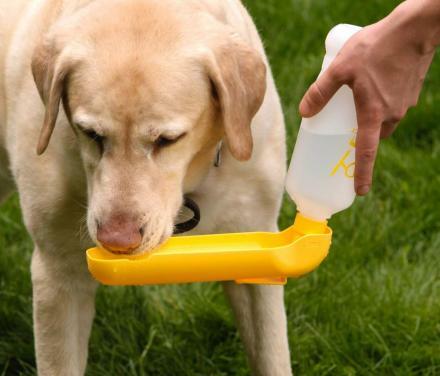 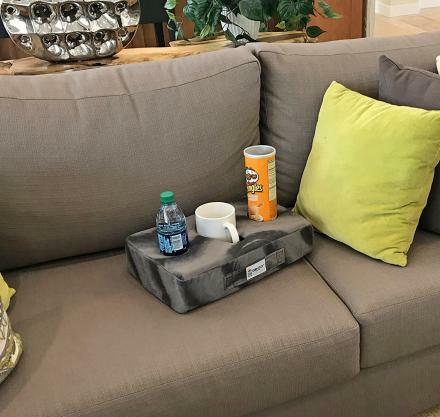 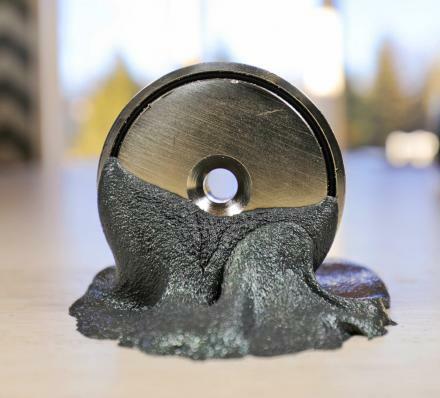 Since the horn has no flat bottom to it, the mug comes with its own little base that you can set the mug into and allows for a nice secure place to set your drink down. 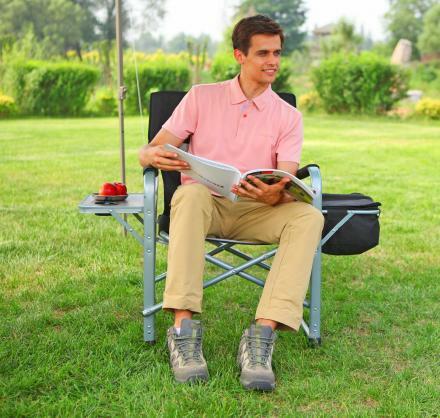 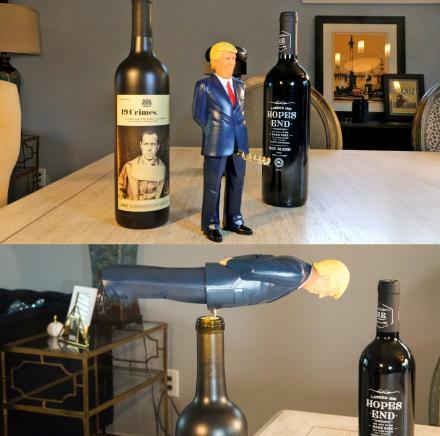 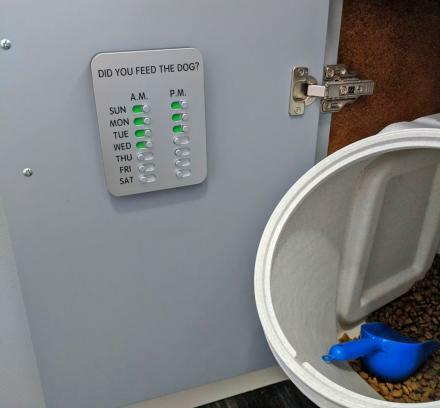 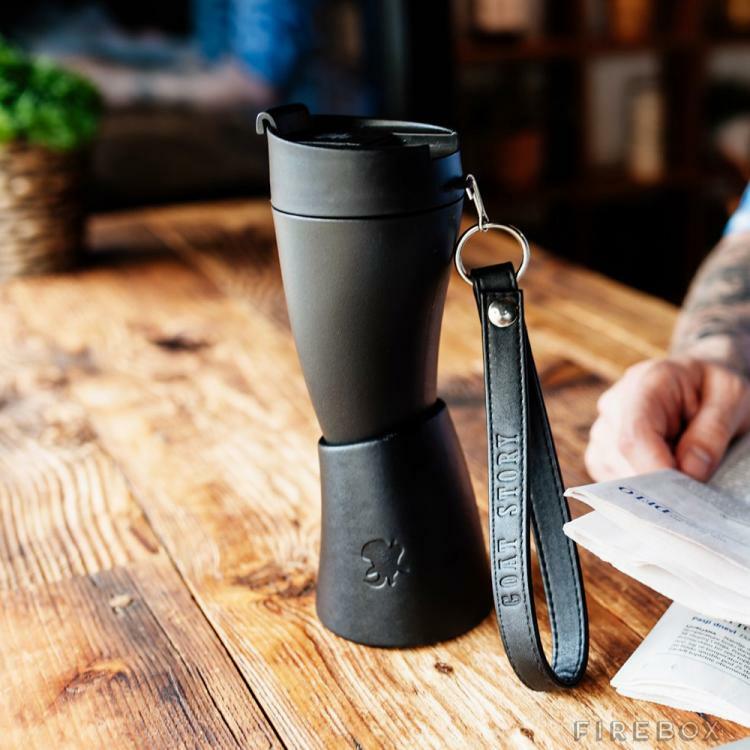 The mug comes in black or white colors to choose from, along with two different sizes of a 12 oz capacity and a larger 16 oz capacity depending on how much coffee you need. 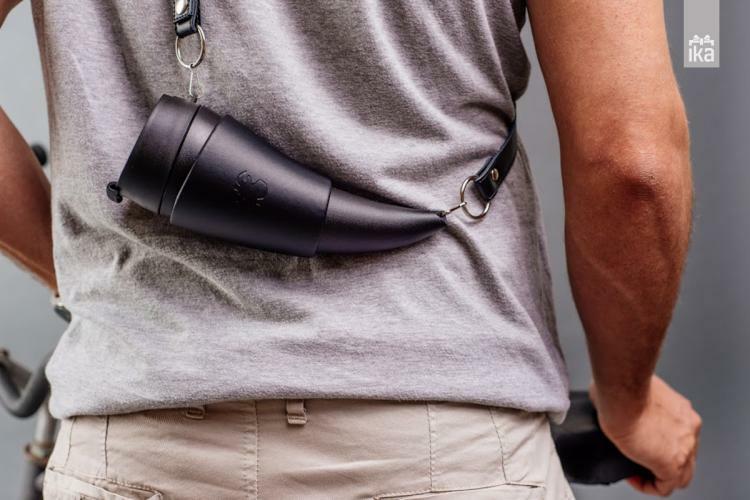 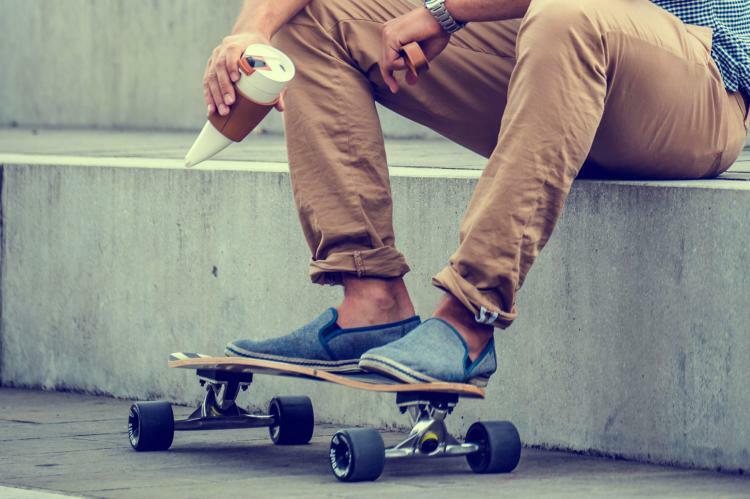 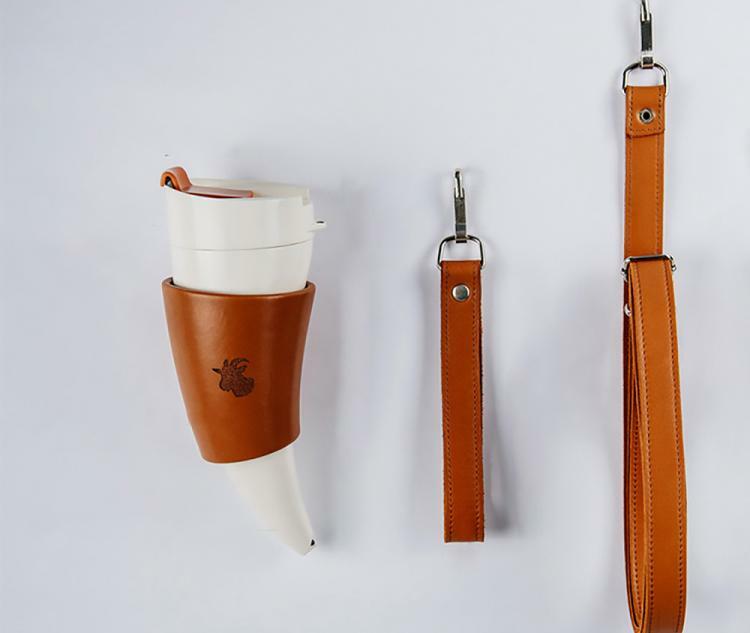 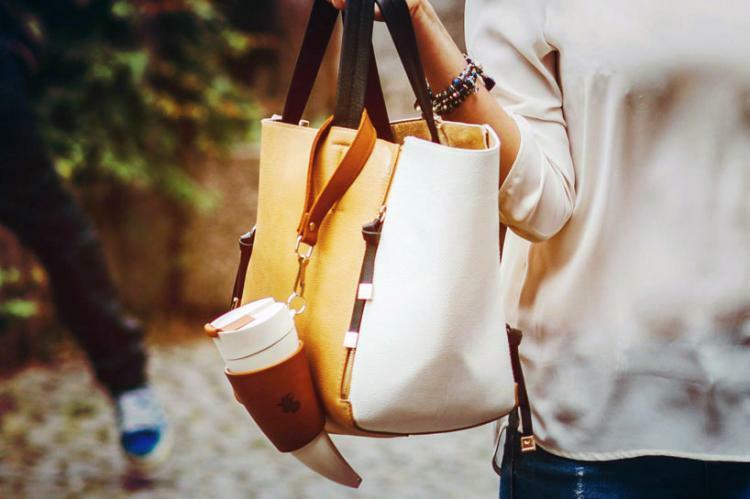 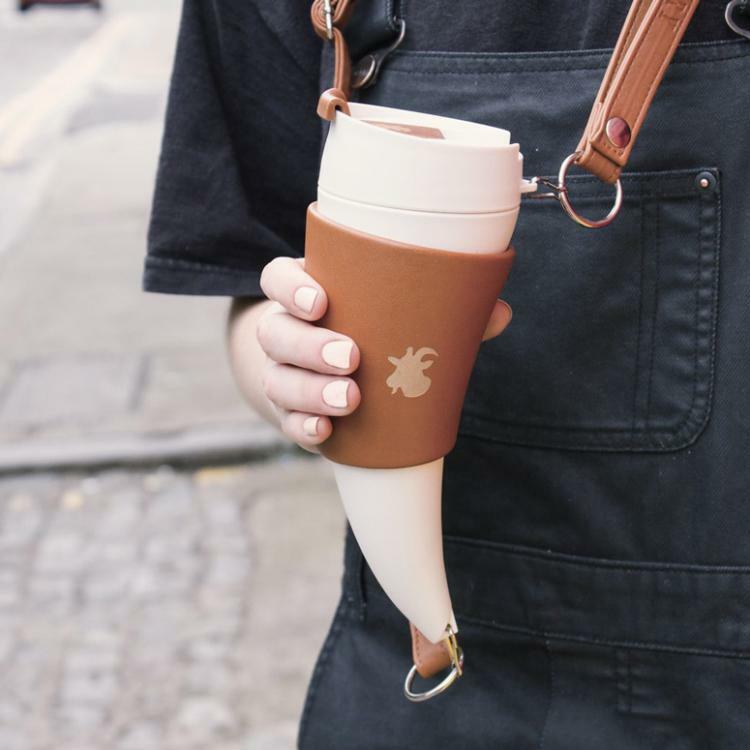 The horn coffee mug uses real leather as the base stand which nicely forms to the body of the horn when not in use, along with the strap that helps you carry it, although there is also a hemp version available if you're not into gripping onto animal skin as you sip your coffee. 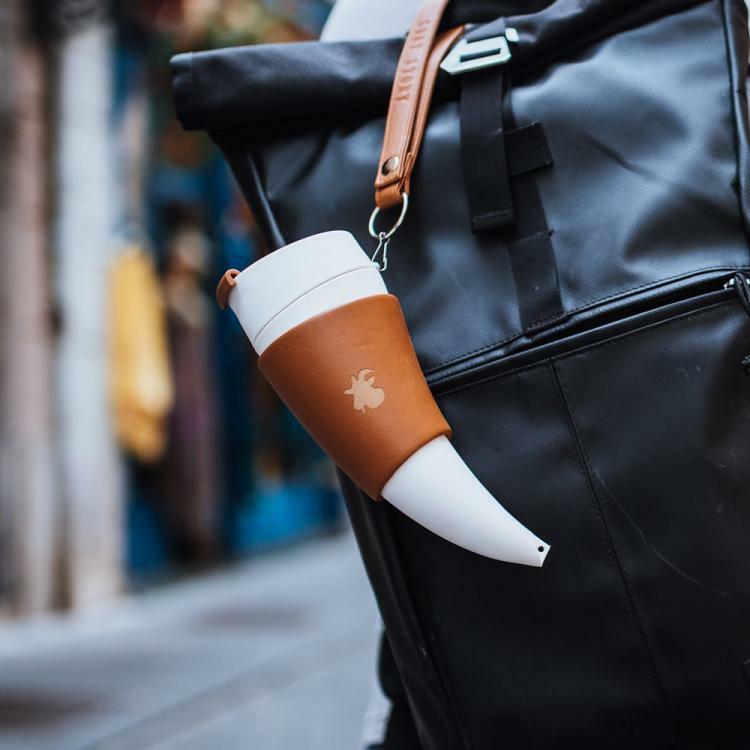 The Goat Story horn shaped coffee mug was originally funded on Kickstarter back in January of 2015 where they raised over $450,000. 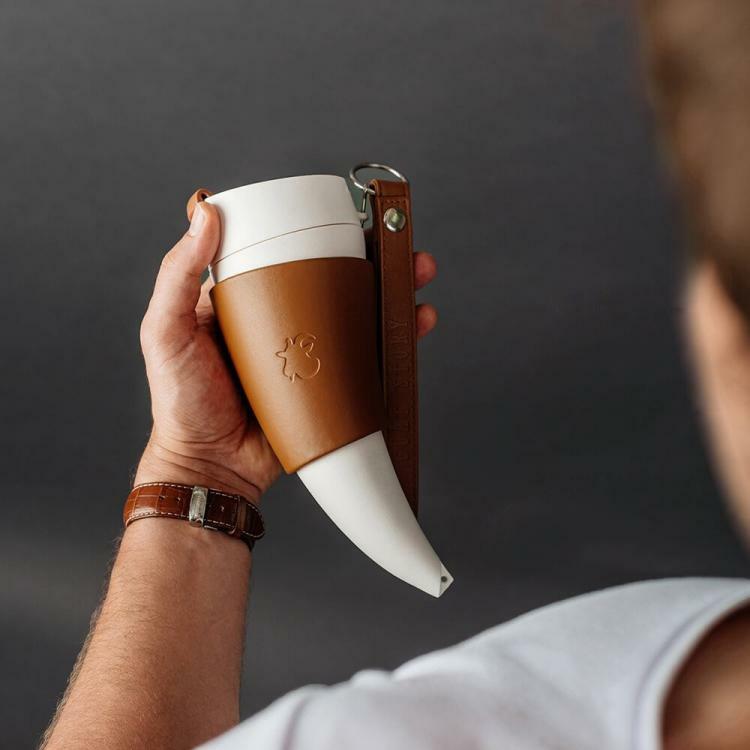 The horn mug is now fully for sale on their website along with on Amazon. 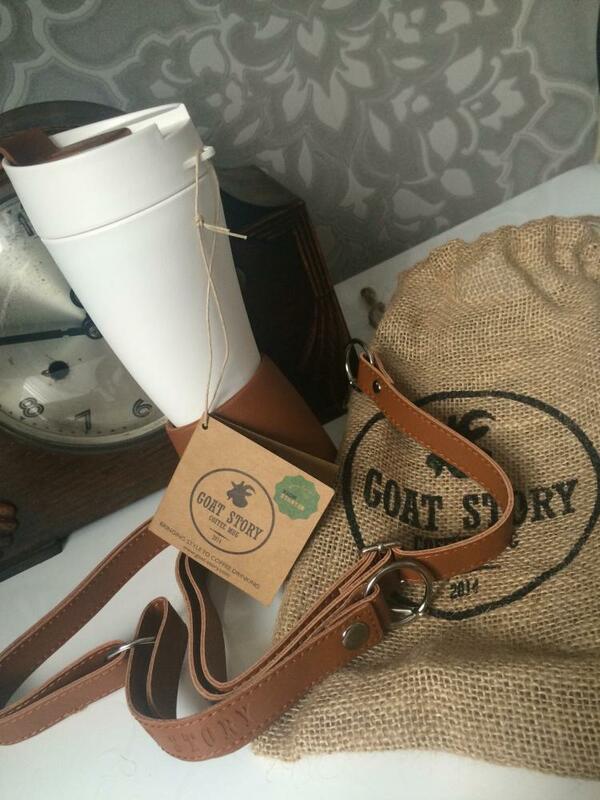 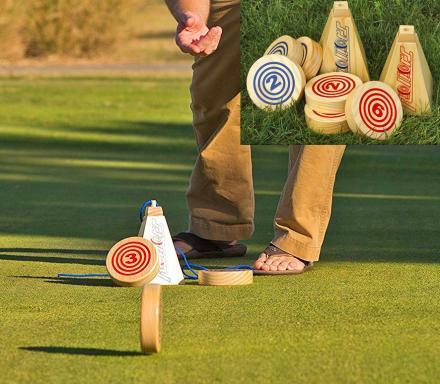 Check out the Goat Story horn shaped coffee mug in action via the video below.